Thanks God its Friday. After I attended the "OHSES Internal Audit Team Meeting" this morning, I sat on my chair for a while and read some emails. I opened an email from a friend that I think is worthy to blog about. Hi foxtrot! Long time no see. 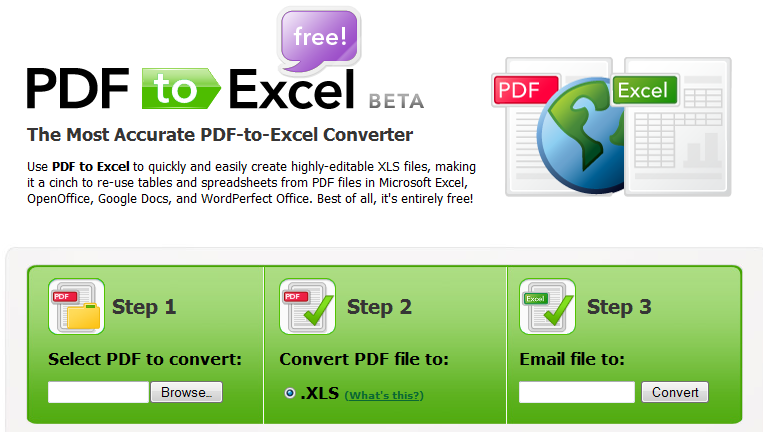 Anyway, do you have a software that can convert PDF to Excel? Luckily for him, last week I already blog about the conversion of PDF to Word which points me to the other available service of the same company. That service is Online PDF to Excel Converter.